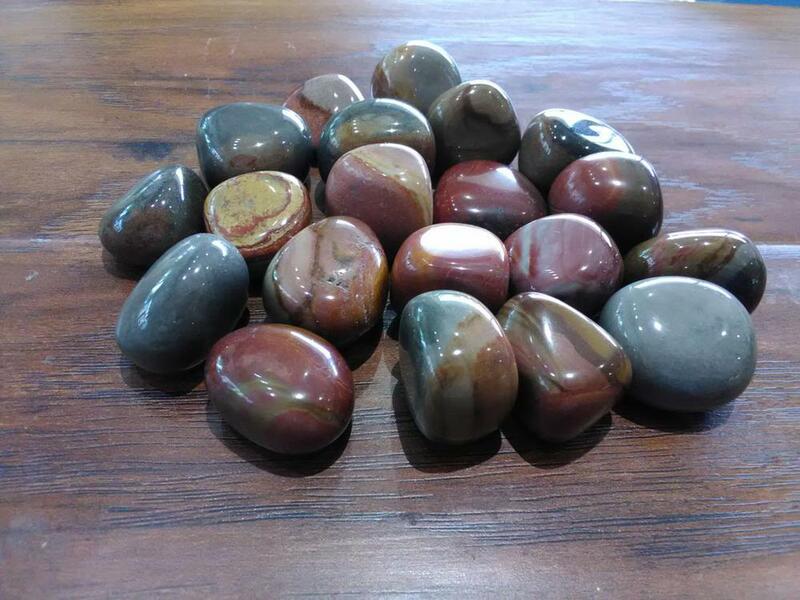 Polychrome Jasper is also referred to as Desert Jasper. It reveals deep, hidden wisdom of nature and how the land we live on has evolved throughout time. It is nurturing stone that gently calms, centers and grounds us. It clears energy blockages throughout the body enabling a rebirth or transformation. Polychrome Jasper also inspires energy and vitality by tapping into the core of its earth energy. It is stone of stability and balance by encouraging our emotional and physical bodies to connect, creating a sense of wholeness. Stone Sizes Range From - 7/8" - 1 1/8"